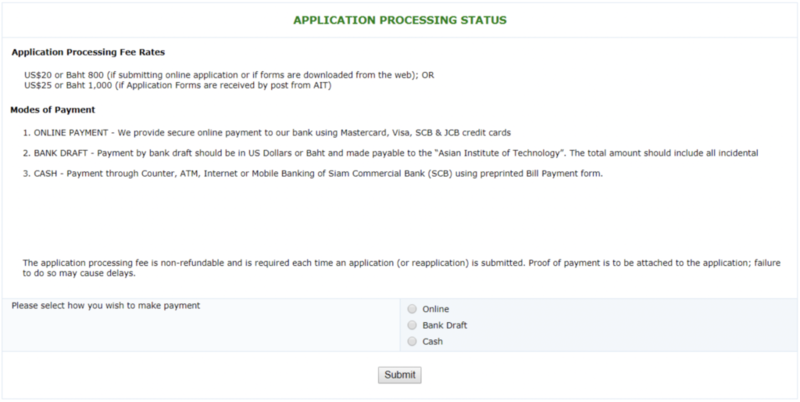 Please wait until the process finished, AIT will process your payment status as soon as possible. Please keep the Payment transaction confirmation until your payment status updated. 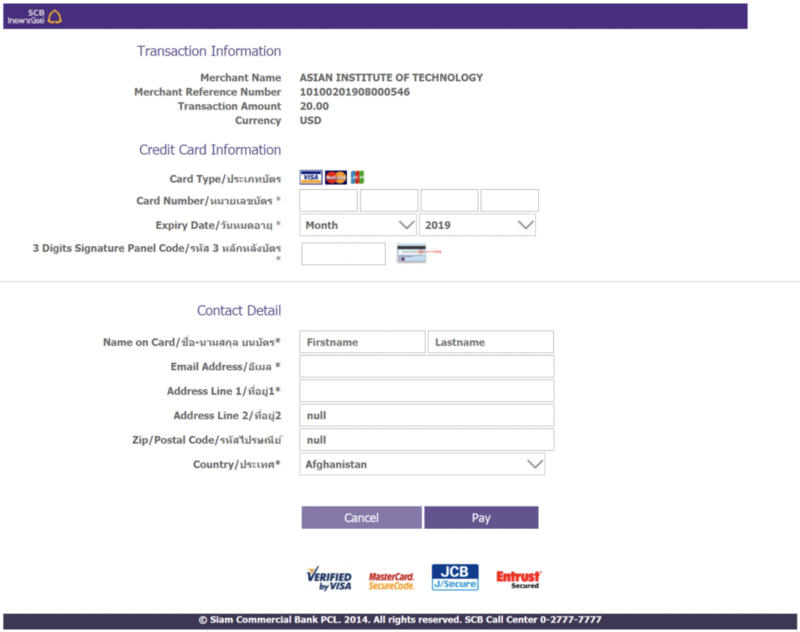 If you are not able to pay online or western union, payment can be made through bank transfer to AIT bank account. Once the payment is done through bank transfer, please send the bank transaction detail to admissions@ait.ac.th and dds-head@ait.ac.th to process your application internally. Fees can also be paid through western union, in this regard, please write to admissions@ait.ac.th for further details.